The Federal Civil Service Commission of Nigeria (FCSC) on Thursday, December 7, 2017 in Abuja announced vacancies into difference Ministries Departments and Agencies (MDAs), The Nation reports. All qualified Nigerians who presently hold an OND, HND or the BA/BSc are advised to apply on the commission’s website. 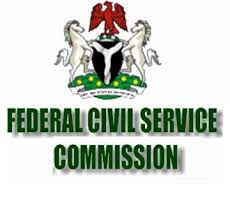 The FCSC in a statement said the location for the vacancies includes Abia, Abuja, Adamawa, Akwa Ibom, Anambra, Bauchi, Bayelsa, Benue, Borno, Cross River, Delta, Ebonyi, Edo, Ekiti, Enugu, Gombe, Imo, Jigawa, Kaduna, Kano, Katsina, Kebbi, Kogi, Kwara, Lagos, Nassarawa, Niger, Ogun, Ondo, Osun, Oyo, Plateau, Rivers, Sokoto, Taraba, Yobe, Zamfara Job Field Administration / Secretarial General. Job Type: Full Time Qualification: OND, HND, BA/BSc. Qualified Applicants can access Application Forms on-line on FCSC Website:www.fedcivilservice.gov.ng. FCSC Headquarters, 4 Abidjan Street, Wuse Zone 3, Abuja. For avoidance of doubt, the application form is free. Completed Application Forms must be submitted where collected on or not later than six (6) Weeks from the date of this publication. All application forms should be submitted in a sealed envelope clearly stating the Ministry, the post applied for and addressed to the: Hon. Chairman, Federal Civil Service Commission,4 Abidjan Street, Wuse Zone 3, Abuja.